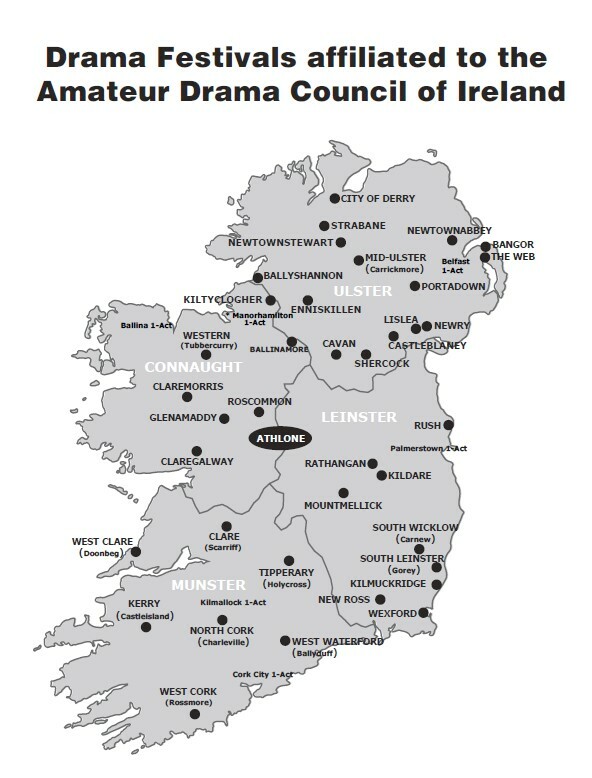 The Amateur Drama Council of Ireland (A.D.C.I) is the federation of amateur drama festivals for the whole of the Island of Ireland. A.D.C.I was founded in 1953 and has coordinated the running of preliminary drama festivals and All Ireland festivals ever since. The principal objects of the Council are to foster, develop, promote and encourage amateur drama in Ireland and to organise annually All Ireland Drama Festivals. The national executive meet throughout the year to conduct the business of the council. The NEC is made up of eight officers, two representatives from each province and a representative from the open and confined finals. This year there are 37 preliminary festivals, running open and confined sections, throughout the country. The confined finals rotate around the provinces annually and the open finals have been held in Athlone since the foundation of ADCI. ADCI also, together with the Drama League of Ireland, are involved in the running of the one act circuit from October to December each year. This committee includes six members from each organisation called the joint committee. A map showing all ADCI affiliated festivals is below. The first president / chairman of the council was Tubbercurry man, MJ, Matt, Devine, and the Western Drama Festival has the distinction of having unbroken representation on the council since its foundation 66 years ago.